Domestic designers are gaining acclaim. Chen Nan reports. While the winter weather has quieted most of Beijing's Sanlitun Village, one store is glaring with lights and blaring with music. The runway show Only For BNC is about to begin, revealing the latest designs of the brand by publisher, blogger and talk show host Hong Huang, whose personal blog has received more than 100 million hits and whose Sina Weibo micro blog has 4 million followers. But the China Interactive Media Group chief executive, who has also starred in a movie and published three books, insists Brand New China (BNC) is her career's zenith. She explains this while pointing to a billboard on the wall of a building in Sanlitun Village that displays blue and yellow blocks that highlight the word "BNC", and the Chinese characters for "bohe"(mint), "nuomi"(sticky rice)and "cong"(shallot). "We've been waiting for that billboard for nearly a year," Hong says. "You can see BNC is next to Giorgio Armani." The brand's 540-square-meter shop, displaying works by more than 150 Chinese designers' clothing, furniture and household articles, is perhaps symbolic of the rise of Chinese design. The runway show is to unveil the brand's 20 latest products while celebrating its first anniversary. The models and products make the show like any other in the world. But the thermos flasks printed with Chinese characters carried by the models remind the audience where the label comes from. "Sanlitun Village has been regarded as one of the city's hippest areas," Hong says. "The rent is very high. I am proud to announce you can find such a store dedicated to our local designers here." And the brand has been more successful than expected, the 51-year-old says. "We planned to become profitable in 18 months," she says. "It took 12. Next year, we will focus on making more profits and developing." As Hong speaks, singer Mao Amin and former Olympic gymnastics champion Mo Huilan check out BNC's newest creations. Hong is known for having a Midas touch with media. She has featured all of the designers at her runway show in her magazine iLook, a luxury periodical she launched in 1998 that has a circulation of 60,000 a year. And while luxury is the name of the game, BNC products cost between several hundred and thousands of yuan. "People say Chinese consumers like spending on international luxury brands," Hong says. "But we found those consumers aren't biased against Chinese designers. They like our products. Price is just one factor. Quality and design is much more important." And the brand's success suggests BNC "has the magic", she says. The brand's best sellers are by Chen Ping, a Chongqing native living in Shanghai. The 30-year-old says her success is based on 10 years of experience, an infusion of Chinese culture and an emphasis on women's power. Before taking her talents to BNC, she opened a studio in Shanghai and started the brand Paris Chen in 2006. She targets career women who are willing to spend thousands on a winter coat they believe it is of fine quality and is well cut. "They like personalized design," Chen says. "Clothes should speak for your personality. You shouldn't follow trends or just seek to appear thin. When you dress up, it should feel like the clothes belong to you and are right for you." Chen chose her career path at age 13, when she saw World Affairs Pictorial - launched in 1983 as the first Chinese magazine introducing the outside world. "The magazine introduced French designer Yves Saint Laurent and showed many pictures of his clothes," she recalls. "I was so amazed and thought it was the most beautiful thing I'd ever seen." Chen, who has studied painting since childhood, majored in design at Tianjin Industrial University. She worked at several clothing companies after graduation but felt lost. She says she was disappointed the companies only pursued sales figures and copied market trends. 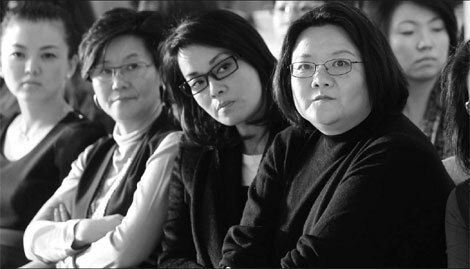 She joined Yifei Group in 2003. Then hailed as China's most-pioneering fashion company, Yifei gave the designer freedom and drove her to strike out on her own, she says. "I learned a designer must find her own style," she says. "Combining traditional Chinese style and modern fashion is a good idea and makes Chinese designers' unique. But it shouldn't be just a few elements, such as traditional knots and silk. The clothes should have spirit and come alive." Chen finds fashion inspiration in books about anything from architecture to food. The red silk corset connected to a deep green flowerpot-shaped miniskirt was a big hit at Only For BNC and sold out after the show. Hong explains BNC is a platform for domestic designers to showcase their wares. Hong recently signed a contract with the designer, Xiang Yaodong, a graduate of ESMOD Beijing, the China outpost of the French fashion university Esmod. Hong has also announced the new iLook/BNC scholarship at the institute to support financially challenged, yet talented, fashion students. 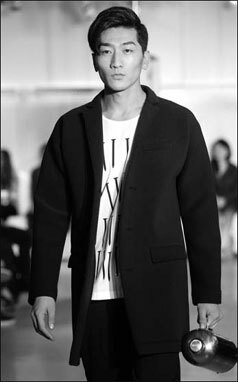 Xiang will create for his personal brand, MOH, in addition to collections exclusive to BNC. "We recognize Chinese fashion design's appeal is growing," Hong says. 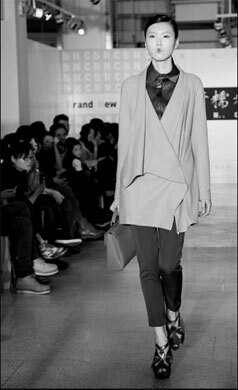 She also attended the 2011 ESMOD Beijing graduation fashion show, where she says she found new "hope for China's fashion industry". "The speed of Chinese designers' growth is five times faster than that of Europe," Vogue China editorial director Angelica Cheung says. "The environment is also changing fast, with more consumers becoming interested in homegrown design and more commercial platforms, like BNC, arising." Designer Uma Wang agrees. Her products are not only carried by BNC but also have sold well in Shanghai's stores ever since she founded her label in 2003. "China is a great place for young designers to grow up," she says. "You can feel that Chinese people want to be more fashionable, and they have the desire to be different."